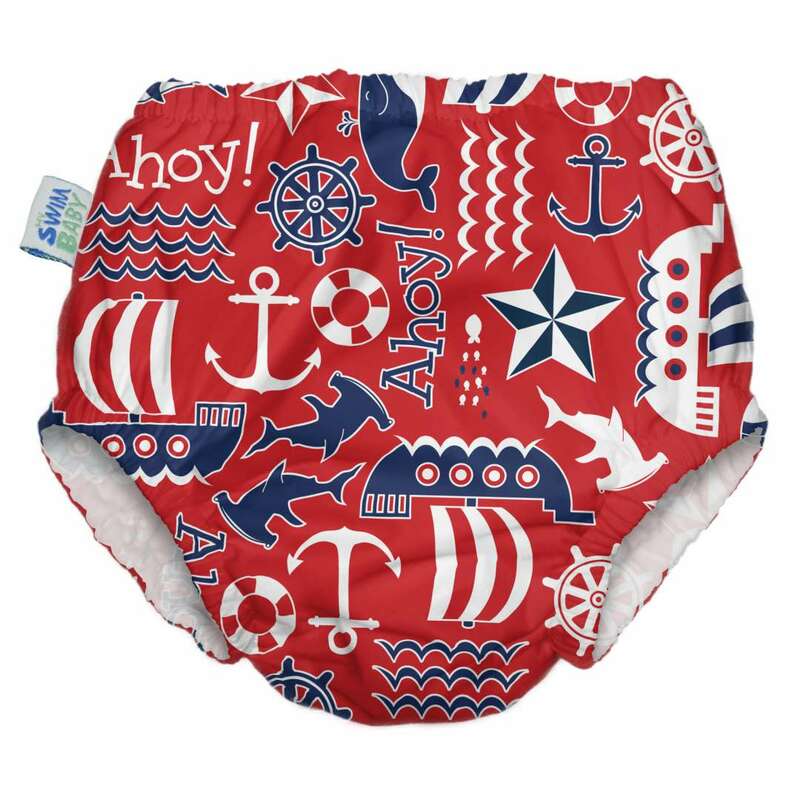 These reusable, machine washable Swim Diapers are trim and snug fitting and designed to hold in any solid material without sucking up pool water and weighing baby down. 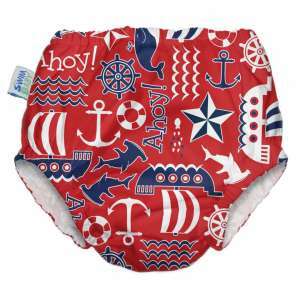 Discrete side snaps making changes in this swim diaper easy! 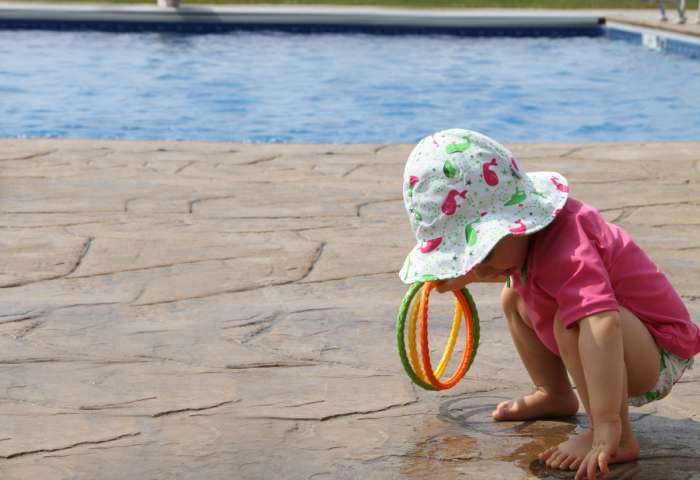 Swim diapers are made to be smaller, and tighter than regular diapers–this helps hold accidents in at the pool. If in doubt, we recommend sizing up. Wash in your normal wash cycle (warm wash/cold rinse). 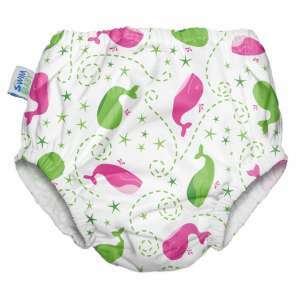 It is best to air dry/line swim diapers, but they can occasionally be dried in a dryer on lowest heat setting.